An affordable entry into the red-dot market, the Aimpoint Carbine Optic is ready to go out of the box. The Carbine Optic uses a 30mm aluminum alloy tube with a rugged mount designed to co-witness with AR-15 backup iron sights. 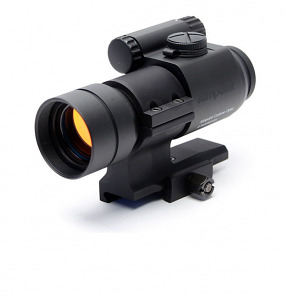 Utilizing a 2 MOA red dot, the Carbine Optic allows for speed and accuracy at all distances. Fully waterproof and featuring a battery life of one year, the Carbine Optic is ready to perform under all conditions.